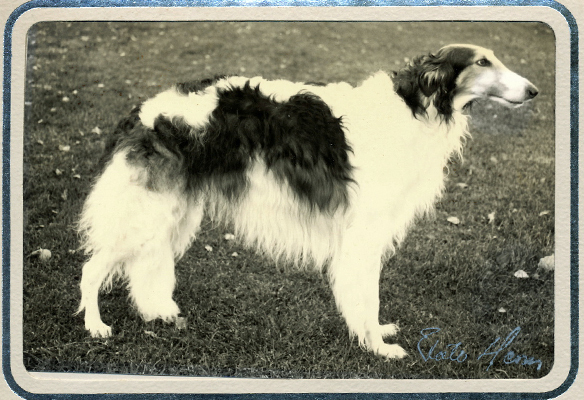 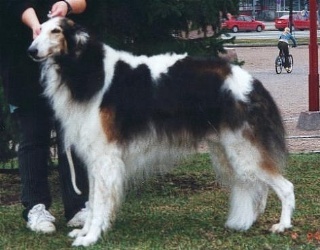 Niki was owned by Susanna and Kristiina Voutilainen, kennel Staraja Russa. 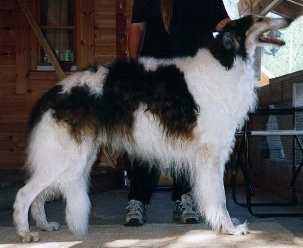 Niki was a real gentleman, elegant, sweet and beautiful. 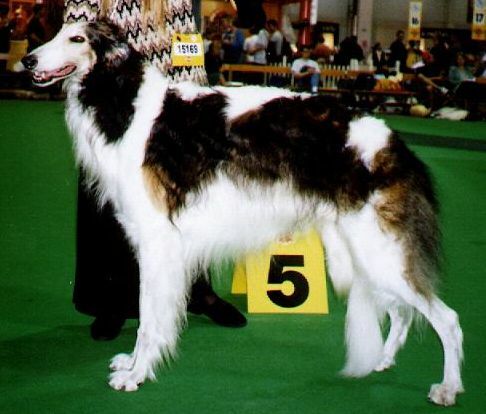 He won a lot in dog shows but wasn't very keen on coursing. 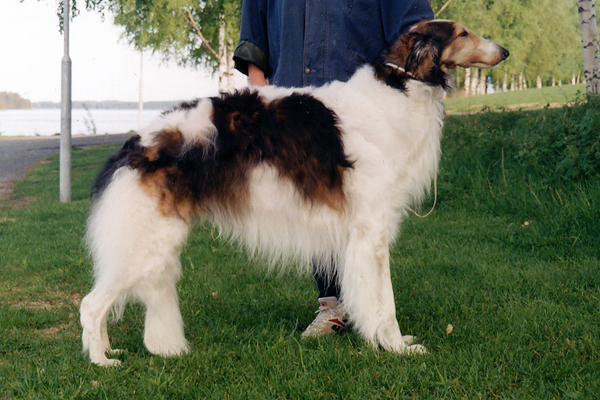 He sired one litter in kennel Darbaschan, Sweden. 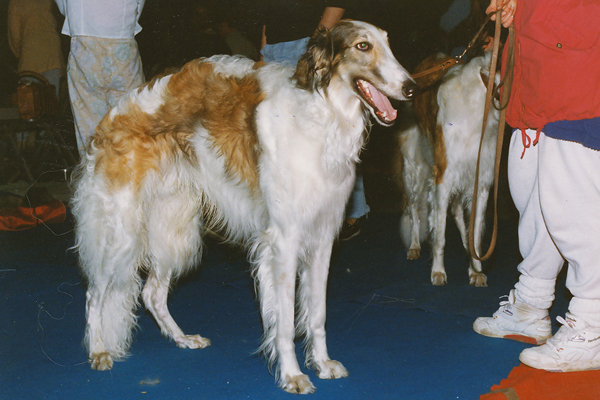 That litter has got also a lot of success in show ring and they have turned out to be excellent breeding dogs too. 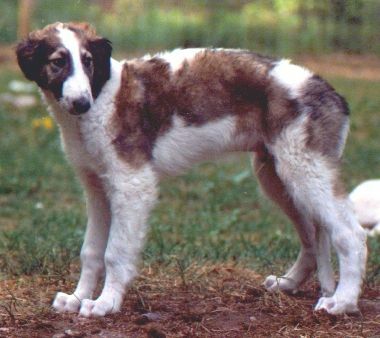 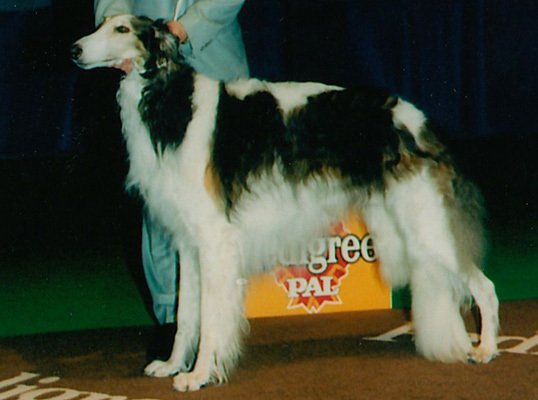 Niki was Finland's Top Show Borzoi '96, Top Russian Wolfhound '96 and '97, BOS-winner at the FBC's Specialty in '96.